How often do you have a date night with your spouse? Is it difficult to find time in both of your schedules? Here are some easy ways to make time for a date night – so easy that you can start planning today! 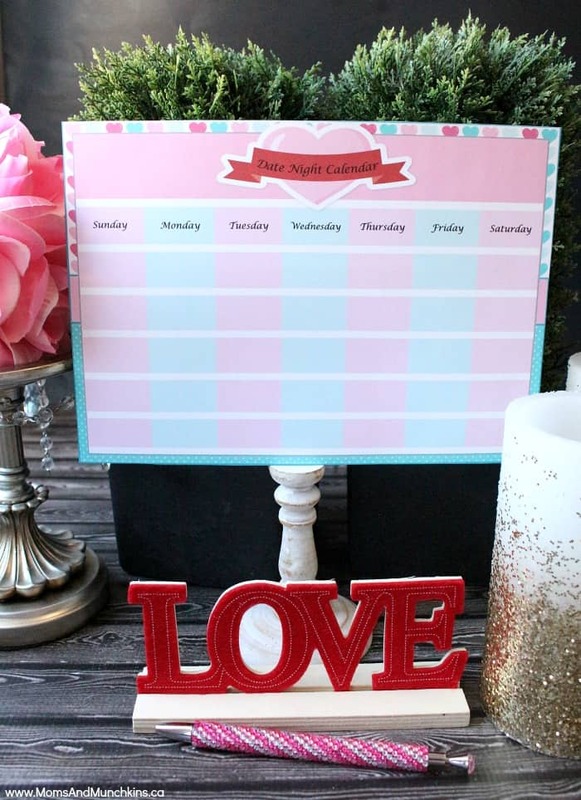 Plus don’t miss our free printable date night calendar! 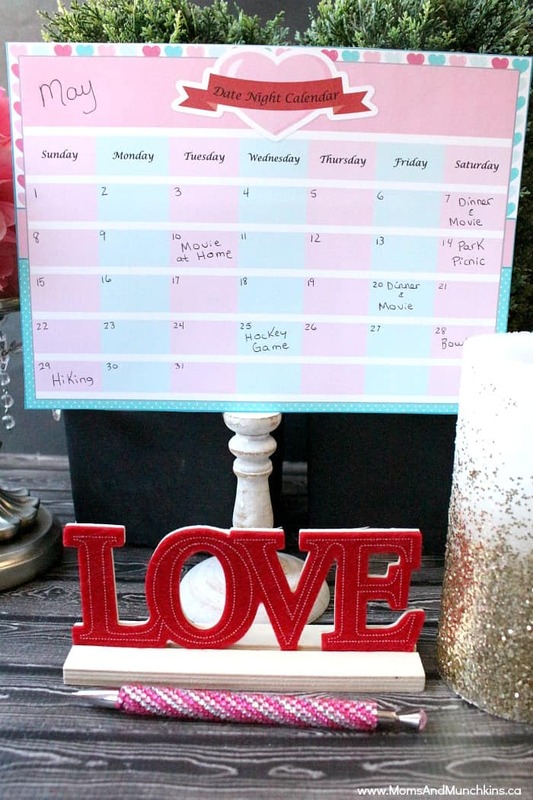 Simply fill in the month and days then schedule in some fun date nights. Make sure it’s somewhere that you can easily see. Don’t be afraid to ask a trusted family member or friend to babysit. If they have kids of their own, you can offer to return the favor. For new babysitters, here is a handy checklist you can use. Schedule the date in your calendar (in BOTH your calendars) and plan ahead to set time aside for each other. Plan where you’re going and what you’re going to do so that you have your plan set before you go out (buy tickets to a show in advance, make reservations at a restaurant, etc.). Plan to arrive to your date destination early because something always seems to come up while you’re getting ready to leave. Make each other a promise to follow through with plans. If plans often get canceled, it can be difficult to find the motivation to keep planning dates for each other. If you have kids, make sure everything is planned for their evening as well (supper, activities, etc.) so that you have less to take care of while you’re trying to get ready (the babysitter will be thankful for your planning as well!). What are your best tips of ways to make time for a date night? Where did you go on your last date? My husband and I went out for cheesecake and it was so delicious! For fun date ideas, don’t forget to check out Date Ideas library! Have you followed Moms & Munchkins on Facebook? We’d love to see you over there and have you join our fun community. Stop by & share your best ideas for a date night! *A special thank you to our printable designer Wendy’s Printable Party and Erin Bradley Designs for the cute clipart. Great post! We have a hard time sticking to our datenight plans (and it’s usually my fault). Great post! Perfect for Valentine’s Day! My Bff and I work on this by exchanging date nights. One night she will go out with her hubby and I’ll watch her children free of charge and another night we will switch. Its nice to know there isn’t the added cost of a babysitter on top of the date, and you know that they are well taken care of! This is so important. My wife and I finally starting having regular date nights after 2.5 years of nothing. It’s been a great addition to our marriage and I think everyone needs to recognize that nothing is more important than making time for themselves.